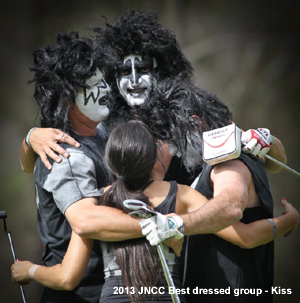 The Jack Newton Celebrity Classic is the longest running and most successful celebrity pro-am golf tournament in Australia. 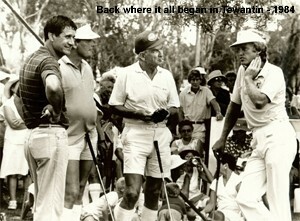 The inaugural event was held in December 1979 at the Tewantin Noosa Golf Club on Queensland’s Sunshine Coast. The event had a great ‘feel’ about it, especially to propagate a Celebrity type event where Jack took it upon himself to improve the standard of professionals, find new sponsors and introduce more celebrities….the first ones being Ronnie Corbett and Ricky May. Following Jack’s accident in July 1983, the Tewantin Golf Club asked about naming the event the Jack Newton Celebrity Classic. Given he was already heavily involved organisationally, he took over running the event in 1985. 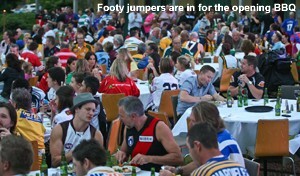 The event continued to grow in size and reputation and in 1992 relocated to the newly completed Novotel Twin Waters Resort on the Sunshine Coast, which could accommodate all the guests “under one roof”. In 2006 Jack took the event home to the beautiful Hunter Valley region of New South Wales and Cypress Lakes Resort, which also satisfied the criteria, accommodation and the ability to entertain a 370 person sit down Sponsor’s Dinner and Cabaret – not many venues have that capability. In 2015 we decided to go to another wonderful venue being the Crowne Plaza Hunter Valley, which has a beautiful Conference Centre and top class facilities. We have also decided from 2016 to renamed to Event to THE JACK with a New Logo, which the regulars gave it as a nickname! From humble beginnings the event has now raised in excess of $6.3 million for the two charities – Diabetes and Jack Newton Junior Golf – an organisation that nurtures and develops the talents of golf’s future stars under the watchful eye of the man himself, Jack Newton. For over 36 years this country’s sporting elite, entertainers, television stars, business leaders and golf enthusiasts alike, have come together just before Christmas to relax, unwind, hit a few balls in different directions and most importantly, laugh…. all in the name of charity. From Prime Ministers to Olympic Champions, movie stars to comedians and footballers to entrepreneurs, they are all part of the Celebrity family who gather annually under the one roof for two or three days. The Celebrity stories and general banter are incredible. 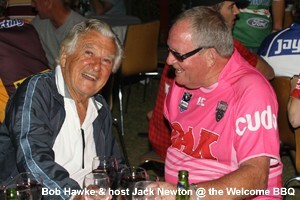 The Classic has made many magical moments over the years of the event now known by the regulars as simply “The Jack”.